Earth Treks Climbing Center Review by Lina Kirychuk | Summer Fun at Earth Treks Climbing Center! Note: This post is sponsored by the US Family Guide and Earth Treks. Regardless, all opinions are my own. 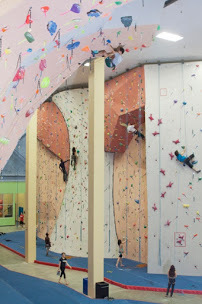 This summer, reach new heights and experience 44 foot high rock walls at Earth Treks Climbing Center! Earth Treks is the perfect place for a birthday party, school field trip, scout event, corporate team activity, church event, or for personal enjoyment and practice! Climbing is enjoyed by both kids and adults alike and no experience is necessary. Earth Treks' private climbing party area gives you the privacy you are looking for while the participants are able to climb all they want! 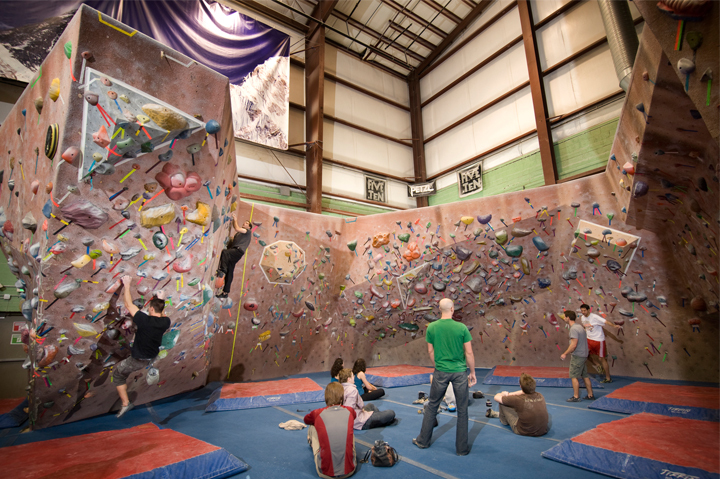 The Climbing Center has 44 foot high walls and 20,000 square feet of climbing surface including a huge Bouldering area with Top Out Boulder, Overhangs, Aretes, Roofs, Dihedrals, Cracks, Chimneys, Slabs, and even a Stalactite. You are able to experience and practice many different types of rock shapes and formations! What's Included When You Book a Party? Private climbing Areas: Earth Treks' private climbing party area gives you the privacy you are looking for with a range of climbs suited for all ages and ability levels. They do recommend a minimum age of six for a climbing birthday party. Two Hours of Climbing: Earth Treks' enthusiastic climbing instructors are with your group the full two hours so the participants get to climb to their hearts content! Earth Treks' instructors are responsible for all climbing related activities, so no experience is necessary. I love this- it's so great that they have the professionals with the group the whole time. As someone who has no climbing experience, I appreciate this! Equipment (Harnesses) are also included when you book a party. Introductory programs are also available for all ages. Kids programs include climbing clubs and teams, birthday parties, special events for youth groups, camps, and much more. Our teaching areas offer private spaces for classes, parties, and special events with climbing walls designed for kids and beginners. My teen brothers were SO excited to hear about Earth Treks! This is a perfect activity for kids of all ages as well as adults. It's great exercise and fun!! You can't get much better than that! My followers can SAVE Up to $50 Off your own Rock Climbing Party, courtesy of Earth Treks and the US Family Guide! - Mention code MK50 and save up to $50 on your next party booking! * Call 800-CLIMB-UP (option 3) or book online here. *Offer valid on new bookings only and can't be combined with other offers. Advance booking with deposit required. Book by 9/1/15, but event can take place later. Save $25 on a group of 10. Save $50 on a group of 15 or more. Please note: this offer is valid only in Maryland at Earth Treks Columbia, Timonium, or Rockville. For more information or to find an Earth Treks near you, visit their website here. Be sure to follow them on Facebook, Twitter, Youtube, and Instagram to keep up with news and special offers!